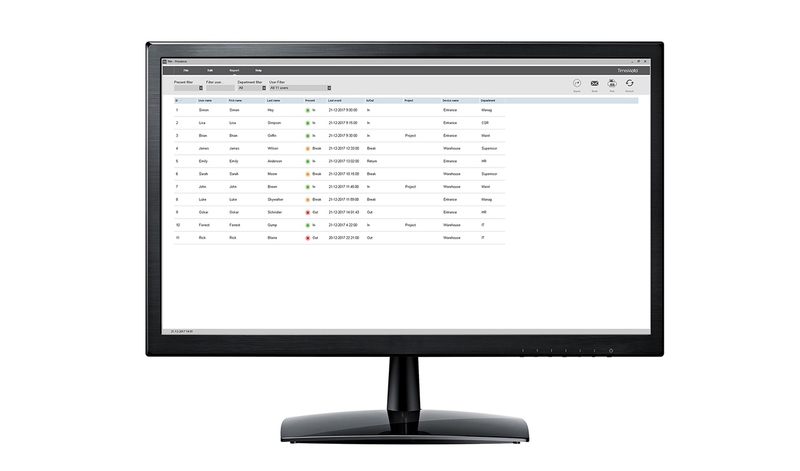 Our PC Plus software includes all the real-time reporting, overview and management tools in the standard PC software that comes with every TimeMoto terminal. Generate instant, up-to-date fire roll-call reports; create daily, weekly, monthly and periodic reports per department and employee; track job costing, hours, overtime, and absences; design employee schedules; export your data to Excel, CSV, PDF or your preferred payroll program—all with an unlimited database, automatic backups and support for multiple terminals. Heighten visual clarity by assigning colors to projects, cost centers and employees. 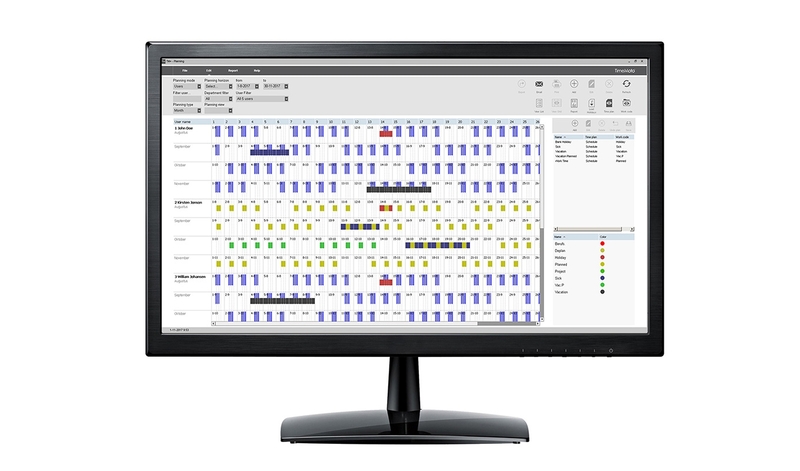 Use them with the PC Plus intuitive drag-and-drop scheduling to easily plan work shifts and instantly compare scheduled hours to those actually worked.